Tesla Radiation Balancer | Dr. Ilija Lakicevic, Res. Prof. PROTECT YOURSELF AND GOD PROTECTS YOU! COLOR OF THE PATCH DOES NOT MATTER – EVERY COLOR BALANCES ANY RADIATING DEVICE!!! If the TESLA RADIATION BALANCER is attached to all these devices in an interior (like a home or an office) their entire balanced radiation creates the safe space of balanced radiation where human cells become balanced and with time their innate ability of self-balance would be re-awakened. The safe space of balanced radiation balances further every other unbalanced radiation entering into that safe space providing for the full harmony and happiness in your living space. The TESLA RADIATION BALANCER has the circular shape with diameter of 8 mm, requires NO MAINTENANCE and has UNLIMITED GUARANTEE. In order to avoid possible mechanical damages we recommend to stick the TESLA RADIATION BALANCER somewhere inside (like the inside of the battery cover or the back side of the SIM card) or on the bottom side of a device. Before sticking the TESLA RADIATION BALANCER please clean up the chosen surface where you are going to stick it and let it dry good. There are so many indisputable proofs that radiation from all above mentioned devices is enormously harmful in many ways. Many reputable scientific institutions like Karolinska Institute in Stockholm have been investigating different harmful effects of the radiation and reporting about it so that, for example, the World Health Organization lists mobile phone use in the same “carcinogenic hazard” category as lead, engine exhaust and chloroform, because radiation from cell phones can possibly cause cancer – it increases 40% the risk for eyes cancer melanoma. The Italian Supreme Court ruled that cell phone radiation caused a man’s brain tumor. The list goes on and on. Those who do not want to face the truth can not avoid the catastrophic consequences by hiding their heads in the sand like an ostrich. “CELL PHONES DESIGNED TO GIVE CELLPHONE USERS CANCER ON PURPOSE! The friendly suggestion and the serious warning from all investigators is to stop using microwave ovens, but I recommend you to use the Tesla Radiation Balancer to balance that radiation and you would be 100% protected from the harmful effects and could continue to enjoy your comfort. Without using the Tesla Radiation Balancer the microwave ovens make dead food and you eat death, but with using the Tesla Radiation Balancer your food would be made alive and by eating the food you would be charging your body with life. Cheers! The radiation balancing technology has been certified by the Hado Life Institute of Dr. Masaru Emoto who is inventor of so called “Water Crystal Photography” – the only existing method for recording of the water crystal structure. He made many measurements and confirmed that balanced water has a hexagonal crystal structure like a snow flack (spa waters and rain water) and proved that the water crystal structure reflects the degree of balance of the incoming radiation: ONLY balanced radiation causes the hexagonal water crystal structure. Human cells are made at least 75% of water, whereas brain cells are 85% water and blood cells are even 95% water!!! It is clear now why water was chosen for the certification purposes. For the sake of the certification of the radiation balancing technology the microwave radiation of Cell Phones has been chosen since there are so many irrefutable proofs that it causes heavy harms like the brain tumor and the melanoma cancer and has been qualified as the largest biological experiment ever – it questions survival of the human kind! The plan for the certification was following: 1. to take water from a source from a mountain which contains a lot of zinc, lead and other heavy metals so it was for sure that the water was unbalanced, 2. to take one liter of the water in a glass bottle and irradiate it for five minutes with the radiation of a Cell Phone to which the sticker was attached, 3. to take one liter of the water in a glass bottle and irradiate it for five minutes with the radiation of the same Cell Phone to which the sticker was not attached, 4. to take one liter of the water in a glass bottle without any irradiation and send all three bottles to the Hado Life Europe Establishment for analysis. The results of their measurements are given bellow. The images bellow are taken out of the complete certificate for the sake of presentation here. The first image is the stamp of the Hado Life Europe Establishment in Lichtenstein with the signature of its director DI Msc Rasmus Gaupp-Berghausen, number MWST – Nr. 55666. The second image is water crystal photography of the chosen water irradiated for five minutes with the radiation from a Cell Phone to which the sticker was attached. The hexagonal water structure in the form of a beautiful snow flack confirms that the water was balanced. The third image is water crystal photography of the chosen water irradiated for five minutes with the radiation from the same Cell Phone to which the sticker was not attached. The image shows very chaotic structure what confirms that the water was unbalanced. The fourth image is water crystal photography of the chosen water as taken from the source – not treated with any radiation. The image shows the totally chaotic structure confirming our expectations that the water from the chosen source was unbalanced. Since the chosen water was unbalanced and since the water became balanced after it was irradiated with the radiation of the Cell Phone to which the sticker was attached, it is obviously that the sticker caused the radiation of the Cell Phone to become balanced and then the balanced radiation caused the water to become balanced – see the second image. The radiation from the Cell Phone to which the sticker was not attached did not balance the water – see the third image. In other words, it was certified that the sticker balances 100% the radiation from any device if it is attached to it. ALL man made radiation in this civilization is unbalanced! Why? This is harsh statement but it is true one. “As a bit of digression, when you search into phenomena – whether it is the phenomena of physics, music, art, human physiology or whatever – and get beyond the physical forms, energies and activities, you eventually arrive at the inner essence. Then, behind this essence is something even deeper or more fundamental, more profound – the wondrous Father as we most lovingly refer to this Creator of creators. You find that everything is the handiwork of the Creative Force of the whole universe – The Creation Itself, in a manner of reference, one of the primary Laws of which is “order”. It is a most orderly universe and when areas are unbalanced by chaos, order must be restored. The second thing fact we have to understand and accept is that Walter Russell and Nikola Tesla knew the truth about atoms and particles. Namely, they knew that atoms consist of the light rings spinning around the centering point where the Creator (or God, or Spirit, or Mind) sits and centers the atoms from inside, that electrons are the expanding light rings spinning around the centering Mind point and that protons are the compressing light rings spinning around the centering Mind point. (This is the true concept of atom and particle which Undersigned has proven experimentally and results will be published soon). They knew also that any radiation consist of electrons – the expanding light rings spinning around the centering Mind point. Now, if the light rings are spinning around the geometric center of a circle that radiation is balanced and causes balanced effects according to the universal Law of Action and Reaction and the principle of resonance. (Law of Action and Reaction: Action and Reaction are EQUAL in a KIND, OPPOSTE in DIRECTION, SIMULTANEOUS in EXPRESSION and REPETITIVE in OCCURANCE. Tesla explained so genuinely the resonance principle; Quote: “One extra point I would like to mention, by applying a charge of external energy to a relatively closed system, you can selectively energize a given octave of energy. This is a simple process I used all my life, yet still only a few people have understood this subject. It is the basic principle of resonance”). Opposite to it, if the light rings are spinning around the center which is shifted from the geometric center of a circle that radiation is unbalanced and causes unbalanced effects according to the universal law of Action and Reaction and the resonance principle. The question is WHY and HOW it happens that the center of the spinning of the light rings moves out of the geometric center of a circle? In simple words, any radiation consists of the expanding light rings in which centers sits the spirit of the creator of that radiation. In the case of human creations human spirit is sitting in the center of every piece of its creation. The centering spirit “reads up” creator’s thoughts (actually CREATOR IS SITTING in the centers of every piece of her/his creation) and reacts accordingly causing the spinning of the light rings to be around the geometric center of a circle if creator’s INTENT is in harmony with the God’s Love law of equal giving and regiving (GOOD intent). Opposite to it, if creator’s INTENT is in disharmony with God’s Love law of equal giving and regiving (BAD intent: if we demand INTEREST – to take more than we give) the centering spirit causes the spinning of the light rings to act as if they were spinning around a center which is shifted from the geometric center – in other words it causes the unbalanced radiation. The question HOW the spirit can do it is obsolete since the spirit is OMNIPOTENT! (This is one of the secrets of Creation). The conclusion is that radiation from any electric device in this civilization is either balanced if the intent of its creator is a GOOD one or unbalanced if the intent of its creator is a BAD one. It is known, furthermore, that the electric current is producing a magneto-electric field (radiation) which is propagating around the conducting wire so that anywhere where the electric current exists it causes a radiation – in other words radiation is an effect of the cause which is the electric current. The American businessman JP Morgan had financed the initial phase of the Wardenclyffe tower, thinking it was going to be a huge power plant as Nikola Tesla (the inventor of AC current) said to him. However, Tesla left out the final stage of his plan and when Morgan found out Tesla was planning on the “wireless distribution of power through the world” he backed out of his contract with Tesla and thus the tower was never completed. Actually Tesla was going to give free energy to the world and JP Morgan canceled their contract so that Tesla had to sell the towers for scrap to pay off his loans and had a mental breakdown over it. It prevented manifestation of the Tesla’s dream of free energy at that time. No wonder that since that time all the man made radiation in this civilization is ‘blessed” from within with the anti God intent of JP Morgan and of all those who have been accepting and practicing the same. In the heritage of Nikola Tesla, it is our highest task to offer the world a solution that is in full coherence with the works of Tesla. It is clear now that the challenge of radiation balancing lies in replacing of the bad intent with the good intent or in replacing the JP Morgan’s taking intent with the Tesla’s giving intent. Nikola Tesla and Walter Russell were greatly connected and Tesla told Russell that his work was too early for Man’s proper acceptance and handling thereof. He suggested Russell put away great portions of the work until mankind could ready itself. THAT WAS DONE AND IS COMING FORTH IN THIS NEW ERA! The TESLA RADIATION BALANCER is one first step in Tesla’s blessing for this new era of humanity! USE THE POWER OF TESLA SPIRIT TO PROTECT YOURSELF! Manifestation of the Tesla’s dream of free energy (it is the dream of all of us souled beings) was prevented to be manifested by the JP Morgan’s greedy evil intent of taking but the dream is still there in the higher dimensions waiting for the order to be reestablished to enable its manifestation. To reestablish the order means to replace the JP Morgan’s evil taking intent with the Tesla’s good giving intent. It can be done ONLY by our action since we are expression of the idea of a man in action. The best strategy for our success is to use the concept of “standard” what means to start building all over the world the small balanced areas – space with the Tesla’s spirit and good intent. According to the resonance principle those areas will start transmuting more and more bad intent areas around it into the good intent areas until the total space of the good intent becomes much, much larder than the bad intent space in which moment the dream of the free energy will start manifesting. Not before! By doing so we will start promoting Tesla as the standard for HONESTY, KNOWLEDGE and RATIONALITY and start healing the heavy diseases of the human consciousness which are DISHONESTY (lie and cheating), MYSTICISM (lack of knowledge) and IRRATIONALITY (slavery to technology). 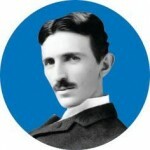 The TESLA RADIATION BALANCER is God’s blessed ideal tool for us to start living the dream of the free energy. God did his part in this co-creation, it is our turn now. Let all of us who are feeling the Tesla spirit as our own spirit create the balanced space in our living and working environment and become the standards in this grand and blessed action. Let us live the dream of the free energy. 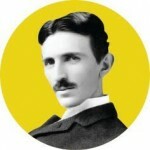 Tesla is living spirit as well as every one of us is – so Tesla is not dead as wrongly believed in our civilization. He is living spirit and sits in our hearts waiting patiently for us to become open and ready to start living the dream of the free energy. ALLOW THE TESLA SPIRIT TO COME IN AND BLESS YOUR LIFE!